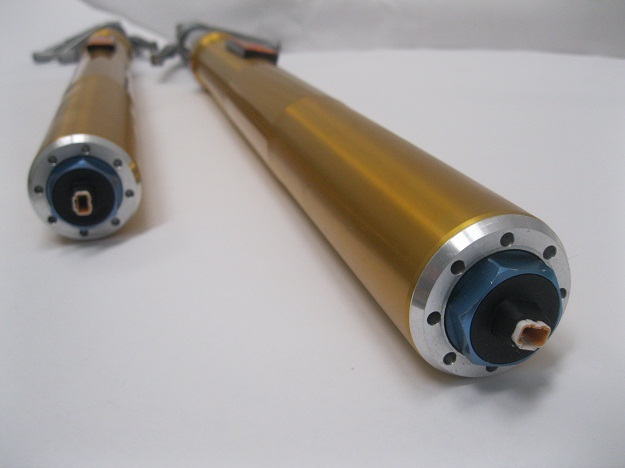 They refer to it as “Plug and play”, No cutting, splicing, machining, etc. 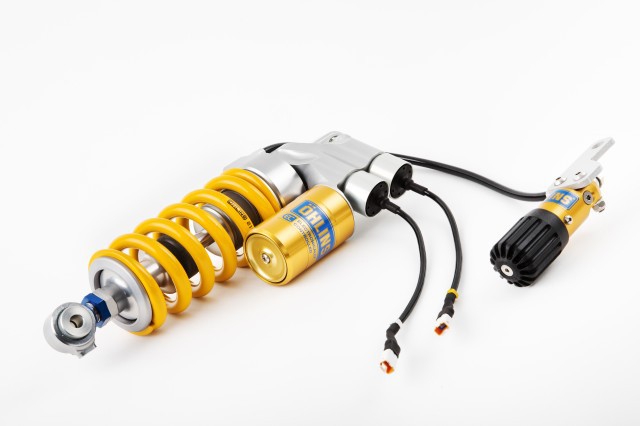 Above are the Ducati Ohlins FG865 , 48mm EC Controled Compression (left) and Rebound (right) , the standard spring rate is a 60n/m with 16 turn preload adjustable caps. 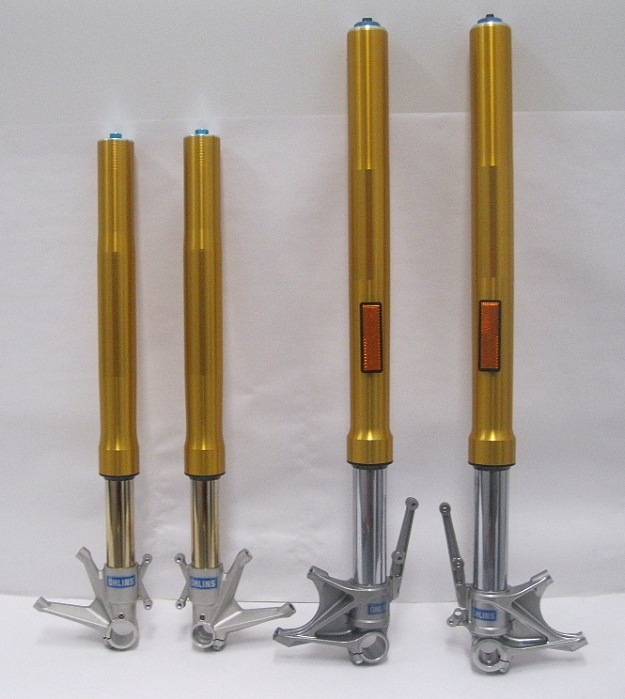 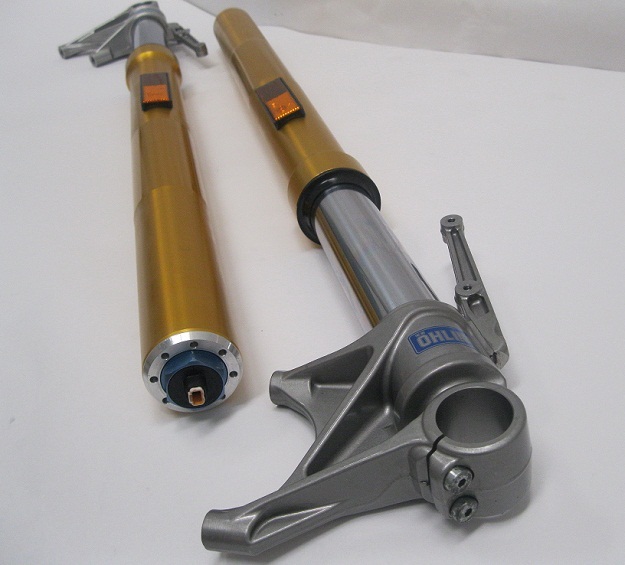 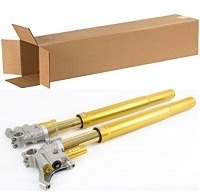 Above (left) Ducait 1098S Ohlins 43mm RT Fork , on (right) Ducati Multistada 2010 Ohlins 48mm Forks. 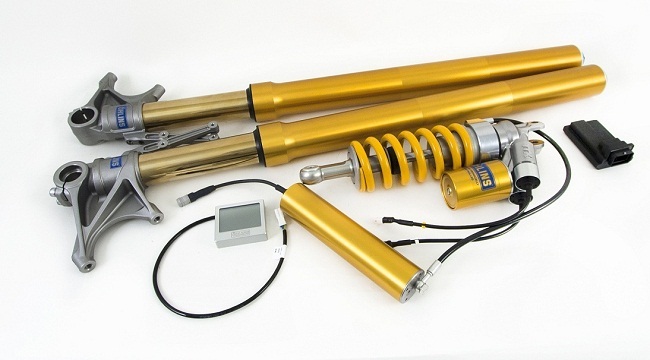 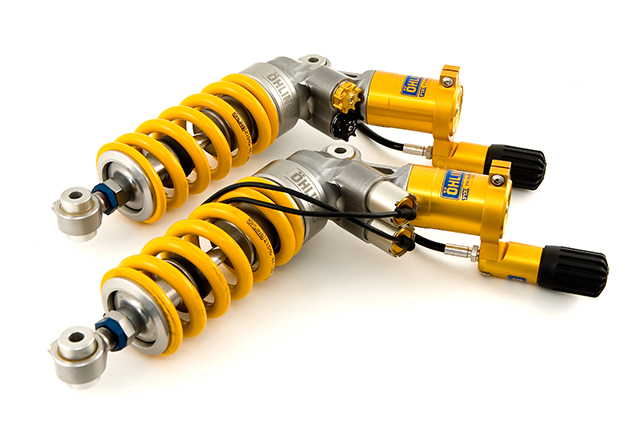 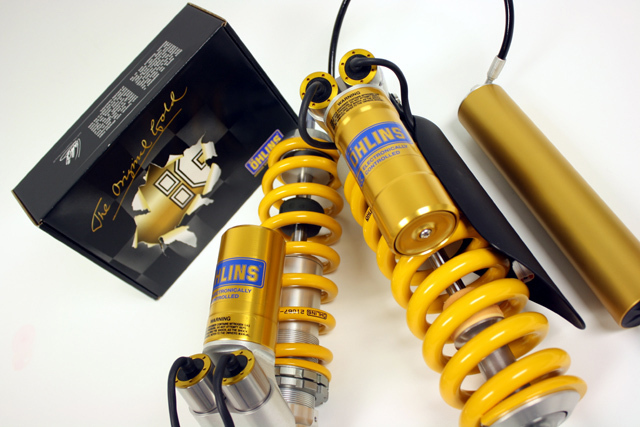 Visit Our OHLINS page for current PDF Applications List.